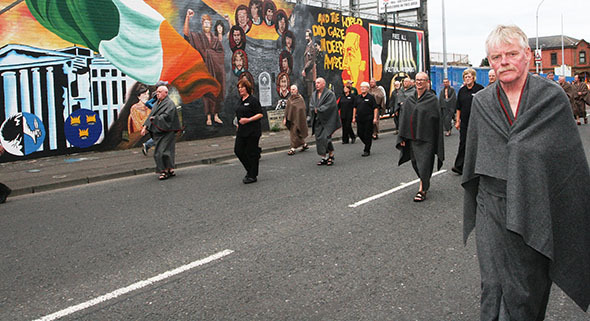 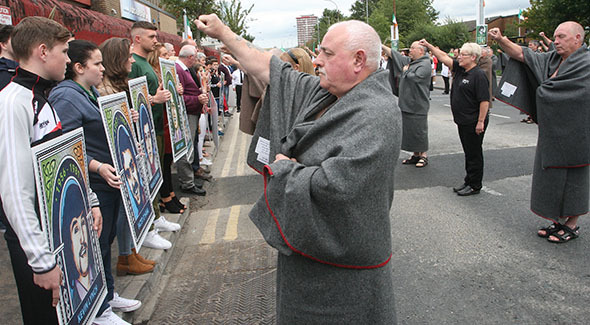 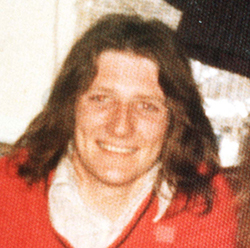 The 35th anniversary of the 1981 hunger strike was commemorated nationally in a huge march and rally through West Belfast last Sunday. 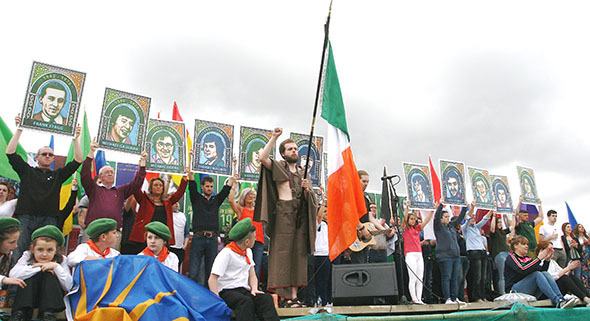 A video report on the parade and speeches can be viewed here. 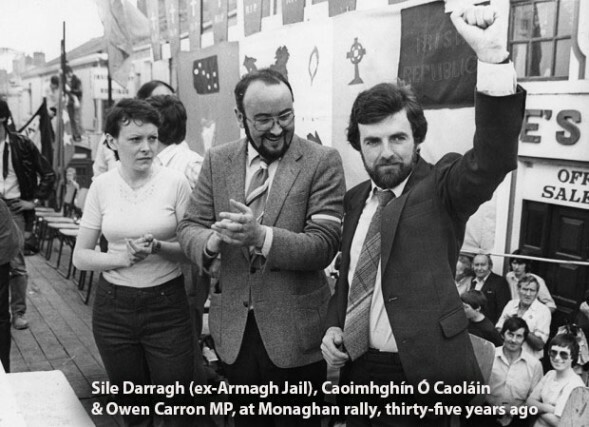 Here are some photographs (courtesy Peadar Whelan) from last Sunday’s march, and, another, taken thirty-five years ago.